I am a closet spelling fanatic. After years of competing in spelling bees starting when I was 9, I won the Kenosha, WI city-wide spelling bee in 9th grade. It was a highlight of my school years and when my confidence that I could achieve what I set my mind to really formed. That’s why I LOVE the National Scripps Spelling Bee competition. Every year watch in fascination as these youngsters spell words I’ve never heard of. Have you ever heard of schrenschnitte or sprachgefuhl? Me either! Yet what was especially interesting was that though the outcome or goal was the same, each of the spellers have their own “way” of identifying and then sharing the correct spelling of their given word. I noticed that some spellers: closed their eyes, used their fingers to “write” the letters on their hand, asked for specific tips on the word (origin, definition, alternate pronunciations), and tapped their hands on their legs as they said the letters. They had their own personal way of getting to the answer and outcome. How does this connection relate to success in business, sales, and leadership? Individuals need to succeed in their ‘style’ – they each achieved the goal of correctly spelling words, but the process to get there varied. We all need to adopt best practices in leadership, coaching, and selling…then adapt them to fit our style and unique talents. MANY hours of practice and studying are needed to rise to the top. 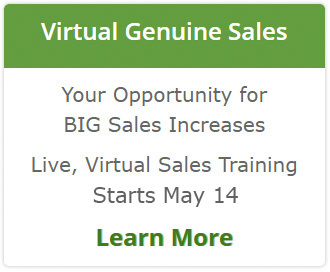 Sales people who prepare and study their craft, industry, and products do better. Support systems were used. Family members, coaches, and teachers drilled the spellers for months and years to help them prepare. Top business performers call on their stakeholders and support systems to win. Failure was not the end. The co-winners each had been to the big time before and failed to win the final spot. They kept going. Resiliency is an important factor in highly successful people. Focus is key. The spellers are not distracted by the hoopla all around. Sellers and managers also need to ignore unrelated shenanigans and focus on what is most important. I tear up when the winners are announced every time. Not just for the spelling bee, but when I hear the success stories of coaches and sellers we equip with the skills and tools. Why? Because it is hard work to win. And harder work to win consistently. 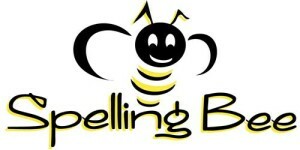 While I wait for next years Spelling Bee, I’ll continue to look for the winning actions of the business competitors. I figure if the kiddos can learn to spell words like pipsissewa and paroemiology, all of us can learn to sell, coach, and lead better too.